Forests are increasing around the world because of rising incomes and an improved sense of national wellbeing say researchers. The authors refute the idea that increasing levels of CO2 in the atmosphere are the key cause of the spread of trees. As countries become better off, farmers focus on good quality soils and abandon marginal lands, the authors say. As a result, trees are able to rapidly reforest these deserted areas. The study highlights the fact that between 1990 and 2015 forest growing stock increased annually by 1.31% in high income countries and by 0.5% in middle income nations, while falling by 0.72% in 22 low income countries. Several global climate models have attributed this change to what’s termed CO2 fertilisation – where higher levels of carbon dioxide in the atmosphere boost the growing abilities of plants and trees. But the authors say that this greening process has been going on since the 1800s in Western Europe when CO2 in the atmosphere was just starting to rise. 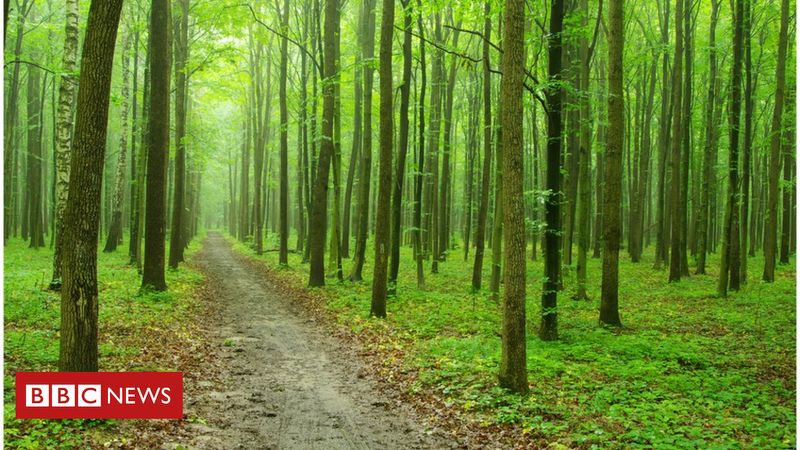 “When people are feeling good, it benefits forests,” Prof Pekka Kauppi from the University of Helsinki, the paper’s co-author, told BBC News. Other parts of the world have started to increase forest cover in relation to their development and not just levels of CO2 the professor says. Europe, the US, Japan and New Zealand have all increased cover over the past century while over the past 50 years China and Chile have also seen forests increase. Between 1990 and 2015 some 13 tropical countries have transitioned from places with net forest losses to net forest gains. “Weather observations confirm indisputably that global temperatures are rising together with atmospheric CO2 levels,” said co-author Prof Antti Lipponen of the Finnish Meteorological Institute. The authors say that development encourages market economies which tend to concentrate farming onto the best lands with farmers abandoning marginal lands and often moving to the cities. Better technology and higher yields also tend to reduce the need to clear new agricultural lands and usually, as incomes rise, other fuel sources other than wood become available. Another factor is that as countries get wealthier, they tend to import more products based on natural resources rather than manufacture them. India is an “amazing example” says Prof Kauppi, having increased forest cover between 1970 and 2010 while at the same time, seeing its population double. While development is critical the authors expressed concern about the future of Africa, with a majority of the 55 countries there have not reported moving from forest losses to forest gains. Losses are also being experienced in Nigeria, Brazil and Indonesia. Brunei is only wealthy country the researchers found with decreasing forest cover.